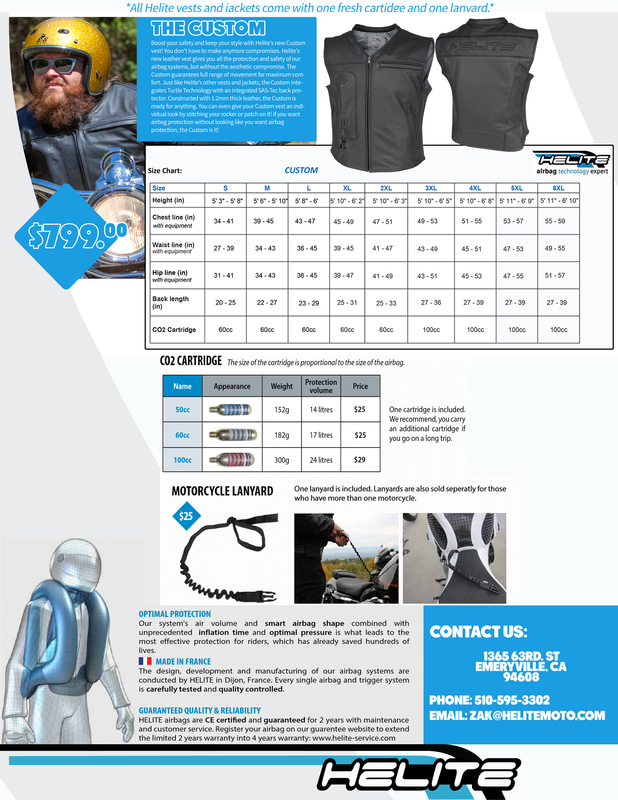 BMW R1200GS Forum : R1200 GS Forums > Vendors > REMUS USA > New Helite Vests and Jackets!! Summer is coming to a close. 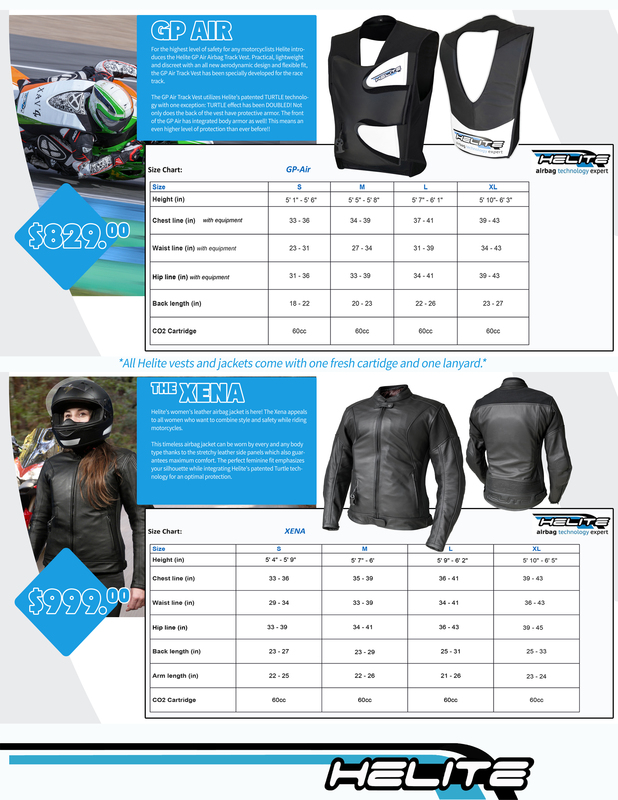 But in case you missed it, we started offering three amazing new items: The Xena women's leather jacket, The Custom leather vest, and the GP Air track vest. As well we have updated our sizing charts. So if you were stumped about which size you should be fitting into, this should make it a cinch! Contact me with any questions or comments!! For the entire month of October, use the code 'TRICK OR TREAT' at checkout and get mystery goodies like free cartridges and/or Helite shirts for free with any order. Go to helitemoto.com now! I know not all of you have a Helite (yet) but I wanted to open this 6-question survey up to people on this forum. 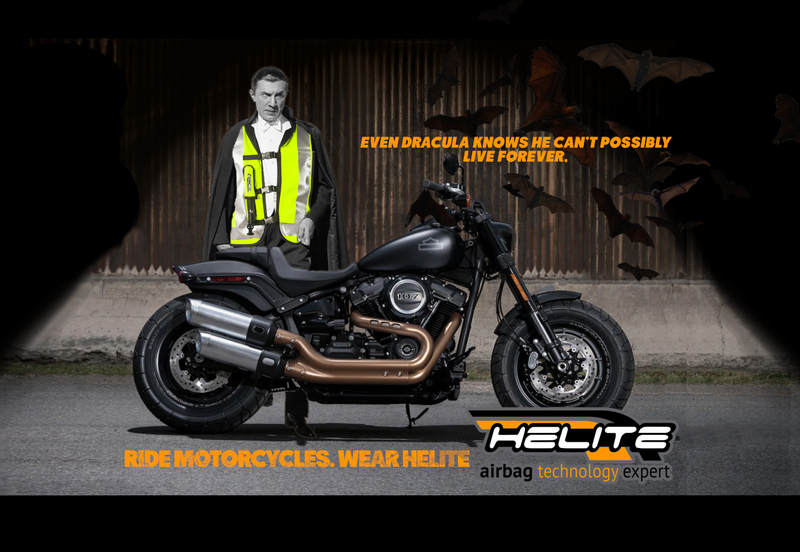 We're always trying to improve not only what Helite does but also the way in which people utilize airbag protection. One way we can do this is to hear what you have to say. So, if you've got a spare five minutes (max) click this link - https://s.surveyplanet.com/Hy0rKvH6-x - and help us improve. We want feedback. 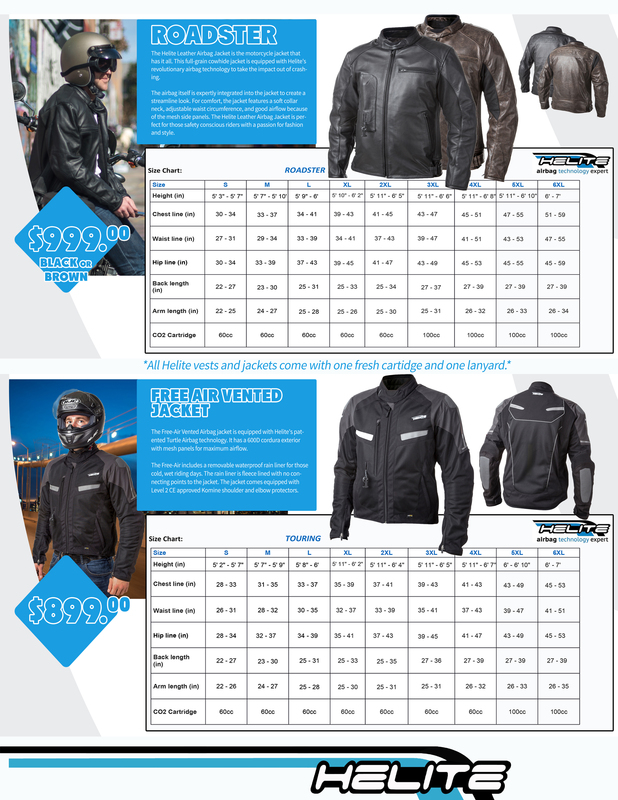 Even if you haven't purchased a Helite vest or jacket yet, let us know why! If you are already rocking Helite, we want to know what you love about it and what we can do to make your experience better. 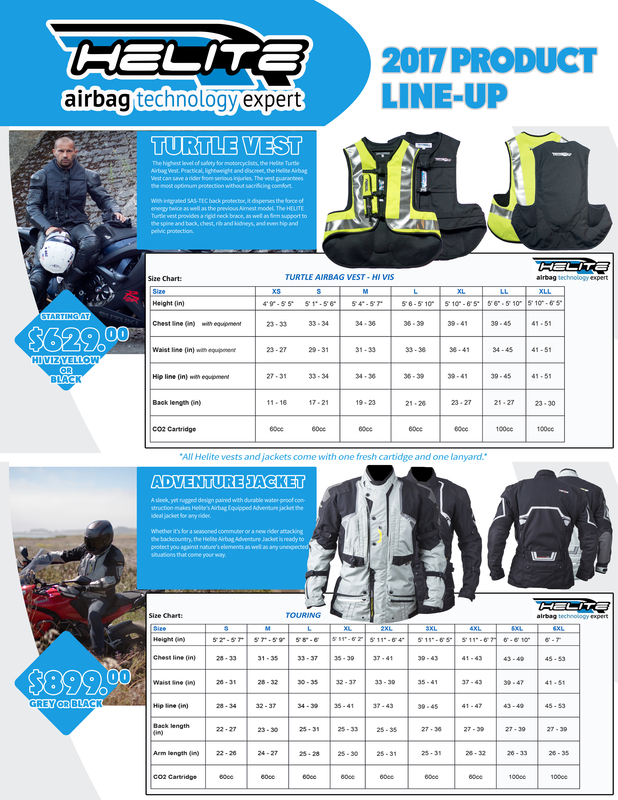 As riders, you are all pretty darn important to us and we'd like to know what we can do to make sure everyone is protecting themselves with airbag protection. Oh! if you complete the survey, there's a little bonus at the end. You'll get a code for $10 off your purchase of a Helite accessory - like an extra cartridge or a second lanyard.